Watch the story of the Bible Movement come alive with this new video production celebrating our 180th Anniversary! In the 1800s, a poor 10-year-old Welsh girl named Mary Jones was so desperate to have her own Bible that she knitted socks, grew vegetables, kept bees, raised chickens and helped local farmers harvest their crops for six years to save for it. 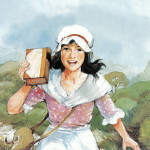 She then walked 25 miles to the town of Bala when she heard that there were Bibles available there. On the next day of arrival, she soon learnt that there was only one Welsh Bible left, and it was promised to someone else. Mary Jones broke down and cried. Her tears moved Rev Charles to let her have the Bible. Her stoic determination and love for God’s Word touched Rev Charles, who found her a Bible, and made him think what could be done for others such as Mary. This little girl’s love for the Word of God inspired a life-transforming movement – the Bible Society. Mary Jones’ tears convicted Rev Charles of the need to have the Word of God readily available in a language the people could understand, and at a price they can afford. Rev Charles went on to galvanise the Christian community, including prominent leaders like William Wilberforce, to form the first Bible Society. The British Foreign Bible Society’s (BFBS) attention was first drawn to Java in 1813 by letters from soldiers on service there, requesting Bibles. At the same time three missionaries were preparing to go out to Java under the auspices of the London Missionary Society (LMS). 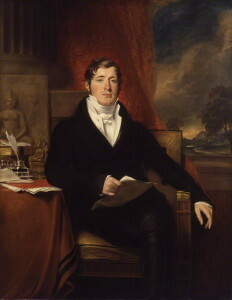 The Java Auxiliary Bible Society was formally established on 4 June 1814 “in the house and under the Presidency of His Excellency Lieutenant Governor Raffles.” Raffles continued to interest himself in the Bible Society’s work even after returning to England during 1816-1818. The request by Rev Dr Robert Morrison for 1,000 Chinese New Testaments for the new Chinese settlement called ‘Sincapore’ launched the Bible mission work here. The funds needed to print and distribute the Bibles were provided for by the British and Foreign Bible Society. Singapore served as a strategic hub and a Bible depository was started here. In its early days, the Bible depository was held in the Singapore Institution (which became Raffles Institution). The early depository site is today’s Raffles City. On 4 July 1837, the Singapore Auxiliary Bible Society was formally established with the aim of serving the needs of the region. In its first year, the Singapore Auxiliary was able to raise funds and take possession of 2,852 Bibles in 23 different languages into its depository. It also ‘issued 956 Bibles, Testaments and Parts’. In the same year, the Straits Ladies Bible Association was formed on 10 July, contributing 194 Spanish dollars to the Singapore Auxiliary. 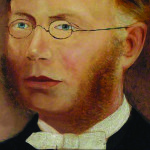 Rev Benjamin Peach Keasberry (1811-1875) was one of the first Protestant missionaries to come to Singapore, arriving in 1837. He was a pioneer in the art of printing as well as in Malay education. 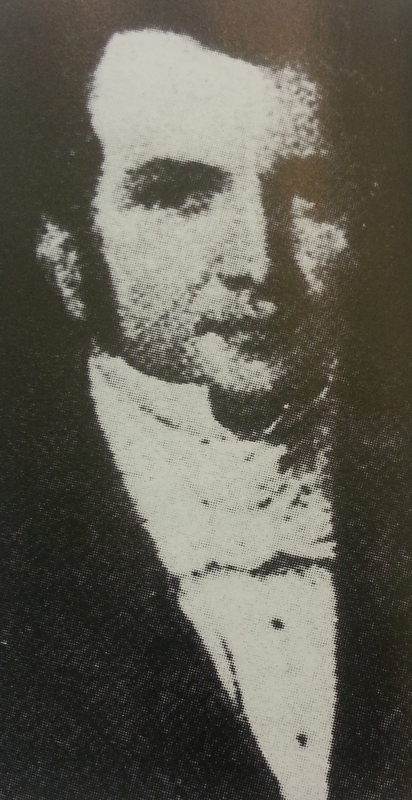 Rev Keasberry and his wife Charlotte Parker joined the London Missionary Society (LMS) in 1839. 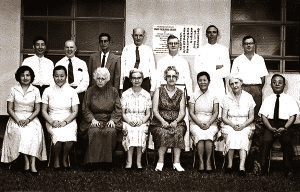 Rev Keasberry saw the potential of working amongst the Malays in Singapore. 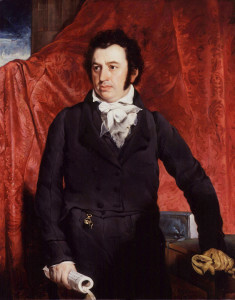 He hired Munshi Abdullah (who also taught Stamford Raffles Malay) to help him learn the language. In his attempt to evangelise the Malays, Keasberry wrote and published many works in Malay. With the assistance of Munshi Abdullah, the New Testament in Romanised Malay was published in 1853 at the request of the British and Foreign Bible Society (BFBS). Keasberry was elected the first President of Singapore’s BFBS auxiliary branch. In 1870, the auxiliary branch absorbed Miss Sophia Cooke’s Ladies’ Bible and Tract Society. Keasberry then started the Society on a programme of Bible translation and tract distribution with Miss Cooke. Keasberry died suddenly on 6 September 1875, during a prayer meeting for missions, having served in Singapore for 38 years. He was buried at Bukit Timah Cemetery, later known as Kampong Java Park. Ernest Tipson (1883-1958) was a Christian missionary and linguist who was born into a large family in Enfield, England. Tipson began working at the age of 14 as an architect’s clerk and typist, but was called to missionary service in the 1900s. His first posting was to Penang in November 1908. In October 1909, he travelled to Canton (now Guangzhou) in China where he spent just over a year mastering the Cantonese dialect. He then learned the Hokkien dialect as well. Tipson’s mastery of these languages came in handy during his work as a missionary and his writing of the Pocket Dictionary of the Amoy Vernacular. Tipson returned to Penang in March 1911, got married and settled in Kuala Lumpur with his wife, Agnes Millar. He moved to Singapore in 1928 to take up the post of Representative of the British and Foreign Bible Society for Malaya. Tipson remained in this position for 20 years (1928-1948). He was interned in Changi Prison and the Sime Road prison camp during the Japanese occupation of Singapore (1942-1945). Tipson carried on with his ministry in prison, assisting fellow inmates like Leonard Wilson (Bishop of the Anglican Church), to teach God’s Word to other inmates. This came to be referred to as the ‘Changi University’ where the seeds for Trinity Theological College were sown. He was liberated in 1945 and one of the first things Tipson did was to check on the Bible House. He worked closely with the St Andrew’s Cathedral which had stored Bible Society Bibles during the war. Ernest Tipson resumed work in Singapore briefly, but soon returned to England. He and his wife were given a farewell tea party by Dr & Mrs Benjamin Chew, who had in 1942 named their youngest son, Ernest, after him. 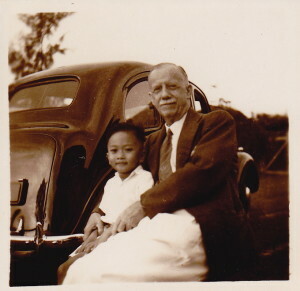 The younger Ernest grew up to be Dr Ernest Chew, serving on the Executive Committee of The Bible Society of Singapore. Out of the rubbles of the second world war, 13 Bible Societies met to form a global fellowship called the United Bible Societies (UBS). Today UBS is made of 147 national Bible Societies operating in over 200 countries and territories. Together, UBS is the biggest translator, publisher, distributor and advocate of the Bible in the world; active in areas such as literacy training, HIV and AIDS prevention, engagement activities and disaster relief. Bible Societies work with all Christian churches and many international non-governmental organisations. 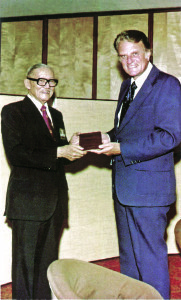 Rev Khoo Siaw Hua was the first President of The Bible Society of Singapore (BSS), serving from 1969 till his death in 1985. He was also well known for pioneering prison chaplaincy work in Singapore. In 1952, Rev Khoo Sia Hua received an urgent appeal for help from the Singapore Commissioner of Prisons, “These people fear neither the law nor men; I want you to get them to fear God.” During a period when Singapore was struggling through the strife of communal and sectarian violence, Rev Khoo courageously accepted the challenge to serve as the first prison chaplain. He showed love and compassion towards the prisoners until his death in 1985. Rev Khoo was deeply involved with BSS even before its official registration in 1970, when it was known as the Bible Society of Singapore, Malaysia and Brunei. He was elected the first President of the Bible Society of Singapore, Malaysia and Brunei, and chaired the Executive Committee of BSS for several years. He worked in the Building and Fund Raising Committee to oversee the successful completion of a new Bible House building. Rev Khoo laid the foundation stone at the Foundation Stone Laying Service at the Bible House building site on 10 Feb 1973. Rev Khoo passed away after he collapsed while preaching in prison in 1985. He faithfully provided spiritual care and counsel to prison inmates, and advocated the Bible mission of BSS to the end of his life. The Bible Society of Singapore, Malaysia and Brunei was officially registered in 1970 and an Executive Committee was established. The first local General Secretary, Rev Peter Hsieh, together with the first President, Rev Khoo Siaw Hua and prominent church leaders helped to rebuild the Bible House in 1972. Rev Hsieh had succeeded Ian Morrison, the last Agent of the British and Foreign Bible Society (BFBS) to be stationed in Singapore. Morrison had persuaded Rev Hsieh, then the Dean at Trinity Theological College (TTC), to take up the position of General Secretary. Morrison felt that the person to take over the helm of BSS should be a Singaporean. The total number of Bibles, Testaments and Portions distributed in the region rose from 247,343 in 1965 to 4,679,674 in 1980. This huge increase was due in part to the very successful outreach of the Billy Graham Crusade held in December 1978 and supported by BSS. Rev Hsieh served as Vice-Chairman of the Crusade Executive Committee, helping to organise the event. Rev Hsieh retired on 1 May 1980, at the age of 60. He then moved to the USA together with the rest of his family to be with his eldest son, a computer engineer there. In 1986, when Malaysia established their own Society, the name was changed to The Bible Society of Singapore and Brunei. In 1992, The Bible Society of Singapore was officially registered.